Are you familiar with LSLAP? Maybe you’ve seen some of our students in court, or maybe you know someone who has used our legal services. The Law Students’ Legal Advice Program (LSLAP) is a student-run non-profit society dedicated to providing legal advice and representation to low-income people in the Metro Vancouver area. 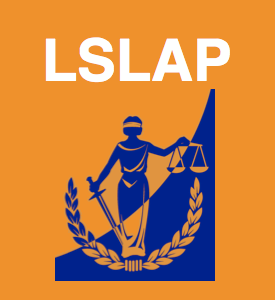 LSLAP was started in 1969 by a small group of law students at the University of British Columbia. In 1978, we incorporated as the Greater Vancouver Law Students’ Legal Advice Society. We now have an independent Board of Directors and two paid supervising lawyers, but for the most part, LSLAP is still student-run and student-driven. It can be very difficult for low-income earners to afford a lawyer, and even more difficult to represent themselves in a legal proceeding. LSLAP exists in order to bridge the gap between the services offered by publicly-funded legal aid and the many legal matters in which low-income people find themselves unrepresented. We assist clients by: drafting legal documents and submissions (such as notices of claim and tribunal submissions), providing full representation at trial, representing clients before administrative boards and tribunals, and drafting wills and powers of attorney. We do our best to provide clients with summary advice and referrals when we cannot provide full representation. If you are a member of the public and you need help with one of the matters that we can assist with, please contact us at (604) 822-5791. Please note: LSLAP is currently going into exam-blackout season, and will have new clinic times and locations confirmed in May 2015. We will then release a new blog post detailing updated information about the clinics. Tell friends and colleagues about us!